If Nylander stays in the AHL all season his entry-level contract won't kick in until next year. That's important because the Leafs are going nowhere this year, even with Nylander. Calling him up essentially wastes one of the three years Nylander is guaranteed to have a cheap contract. If the Leafs dream of snatching one of this summer's premier free agents it's going to cost them big. At least $12 million a year for Steven Stamkos big. Nylander knocking on Brendan Shanahan's door for a new contract one year earlier doesn't make filling out the rest of the roster easy. 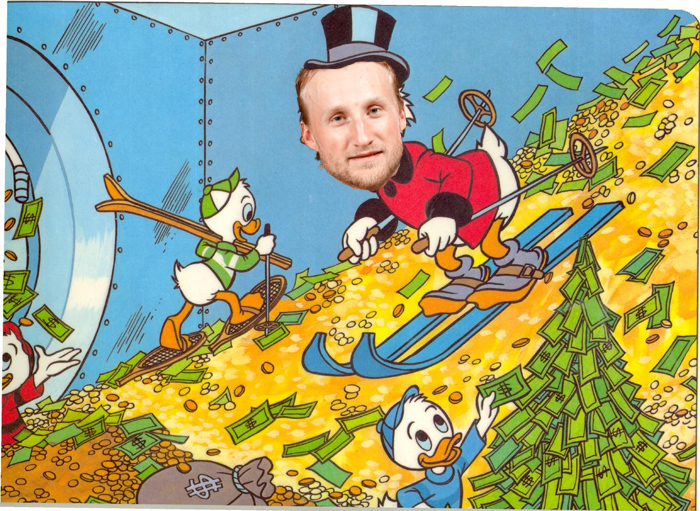 Future stock photo of Steven Stamkos hitting free agency. Nylander also takes a roster spot from a veteran. Not that the Leafs need to respect the vets, but one of the major priorities this season was to get decent production out of the cheap off-seasons signings and spin those vets into picks at the deadline. Those vets need big minutes, especially on the power play, to get enough points to look attractive to other teams. The Leafs have rushed prospects to the NHL with disastrous results for years. Nylander may be different, but he should wait until next year to prove it.